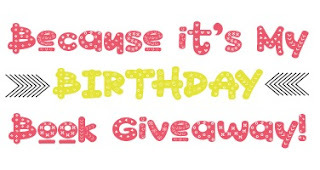 For What It's Worth: because it’s my birthday book giveaway! 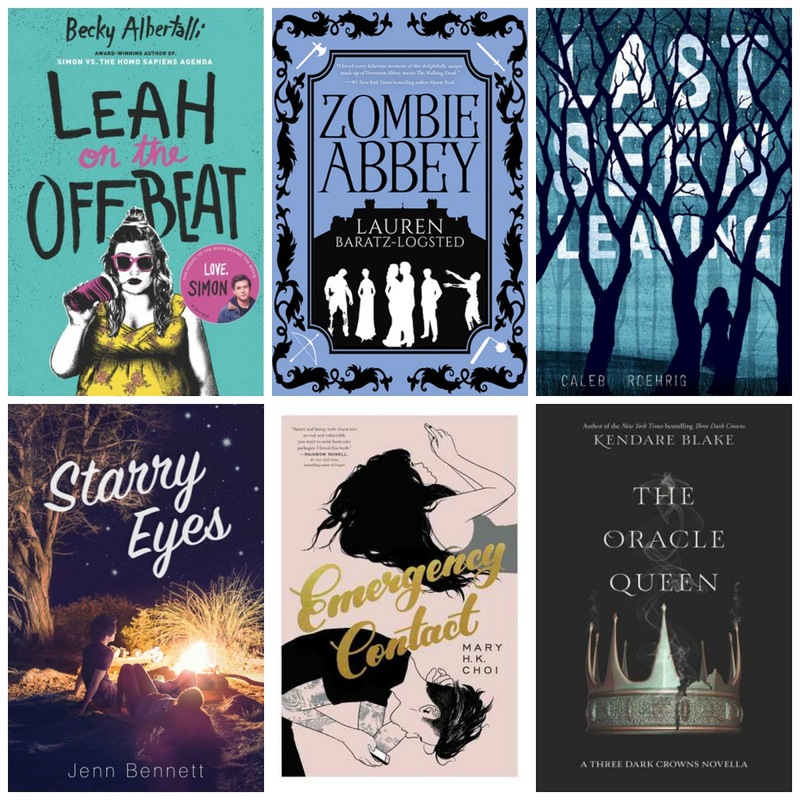 because it’s my birthday book giveaway! I won’t discuss age my because I have reached the top of the hill and am slowly sliding down the other side lol But I’m here, and that’s better than the alternative, so to celebrate I’m hosting a giveaway!!! Isn’t that how birthday’s work?? You buy gifts for other people?? It’s how it works the blogosphere anyway. Any excuse to give away books! *I’m making this one super easy to enter so no extra entries, other than a tweet, but if you are looking for me elsewhere my SM links are in the sidebar. 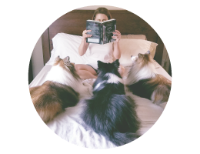 Twitter is where I like to chat, Instagram is where I mostly post about food, my dogs – Fonzi &amp;amp; Indy, one grumpy, clingy cat named Figment and, of course, books and follow me on Goodreads if you want to know what I’m currently reading. 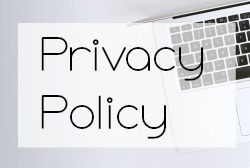 Or subscribe to the blog via email or Bloglovin. Anything? Ability to eat as much candy as possible without getting sick..
Or a more normal one, more books! Happy Birthday!!! I would want tickets to a broadway play. I have been dying to get to one since it has been a while. Thanks for the giveaway!! Happy Birthday!! hope it's a good one. Thank you so much for the giveaway AND the inspiration, I didn't know about Last Seen Leaving and it sounds interesting! I always think if I had a lot of money I would go around and pay for all spay/ neuters. I used to work at a shelter so I love your idea! Happy birthday Karen! Can you at least tell us what day we can celebrate with you? Here's to another year of puppaccinos, snuggly snoozies and a house filled with love and fur on absolutely everything. This question has put me on the spot, I never ask for anything for birthdays or Christmas and not used to receiving presents actually. Ha! I don't really do anything for my birthday or do gifts either. <3 I love my babies too! Yay for April birthdays! :D They're the best! What day is yours? Mine is the 19th. The 18th! That's so weird - our anniversaries are the same and b'days only one day off. Happy Birthday! I hope you do something fun :) I was snowed in on my birthday and stayed in my pj's and read all day. Now that's the perfect day! My biggest wish of course would be to hit Power Ball or Mega Ball (both with the extra $1 added). As to what book I'd like I'd have to be the winner before choosing one of the many on my book wish list. Happy birthday on the 18TH!!! Hope you have a blast! Fun group of books! Happy Birthday!! We definitely like to give other people gifts for our birthdays in the blogosphere. haha If I could have one thing? Hmm...Maybe a trip to Europe? That would be awesome. Happy Birthday!! As someone who is approaching the mid-century mark, I've stopped worrying about age, but I still love presents!If I could have just one thing... an unlimited bank account so I could spend my days reading and blogging and not have to work! Happy Birthday! I try not to keep track of mine anymore as there have been too many of them. If I could have one wish, it would be that my severe cat allergy would magically disappear so that I could have one as a pet. Quote: "If you could have ANYTHING you want for your birthday - what would it be?" Natural curls LOL. Or at least, I'd SO MUCH like to get rid of my recurring throat & nose issues (she says, croaking miserably). Oh...HAPPY BIRTHDAY! But why don't you disclose your age anymore? There's nothing to be ashamed of in turning 33 😜. And as usual, thank you for the givvy! A holiday overseas would be amazing. Yay - happy birthday in advance. And how nice of you to give away presents on your birthday! I think I want a spa day! A massage sounds lovely! April is your birth month? Mine too! I swear it's like every blogger's birth month, I keep seeing it on so many blogs. I'm not planning on doing any bloggy stuff for mine though. Or any real life stuff for that matter lol. I'm not much of a bday celebrator anymore! Happy Birthday! Teleportation so that I could buy cheap books or other things like Croissant aux amandes or dim sum. Hooray for April birthdays!! Last Seen Leaving sounds incredible:) hope you enjoy your special day!! I would love an all expenses paid vacation on a cruise. I haven't been on a real vacation in years. Happy Birthday! Happy Birthday! If I could have anything I wanted for my birthday, I guess it would be an unlimited supply of books and an unlimited supply of sunny days to read them all outside. If I win I think I'll go with Shadow Keeper by Christine Feehan. it released on May 29th and I'm so looking forward to this one. I've been reading the series and it's so good. Anything? Honestly, I would ask for my student loan debts to be completely repaid!! If I won I would pick Owl and the Japanese Circus! If I could have anything for my birthday I would like a trip abroad. A family vacation to Jamaica! I'm a little late but Happy Birthday (don't worry, we're all aware it's rude to discuss people's age). I really think the best birthday gift would be a surprise trip somewhere... preferably with a book store. Or to have a supermarket sweep type thing where you're only allowed to spend a limited amount of time in a bookstore but you're allowed any and all books you want. Wouldn't that be cool? I'd love to be able to live on the beach, without having to worry about money or paying bills. Happy Birthday!! I'd love to be able to travel ... I want to go everywhere! Happy birthday! If I could have anything...it would be my own business, already up and running. I'm sick of working for "the man" lol. i would love to travel around the world! If I could have anything it would be a trip with my husband to Hawaii! Happy birthday, hope it was a good one! Your question has stumped me, but I'll share that for my last birthday, I asked for a facial and to learn how to change a tyre. I'm still waiting on the later, so my wish is that I'll have that skill mastered before I break down haha. Happy birthday, Karen! Oh boy, if I could have *anything* for my birthday? It would definitely be a trip. I love travel and I typically enjoy "experiences" more than "things". 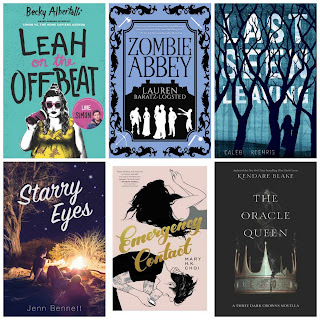 Book-wise, I would probably choose Leah on the Offbeat. I've really bee looking forward to that one! 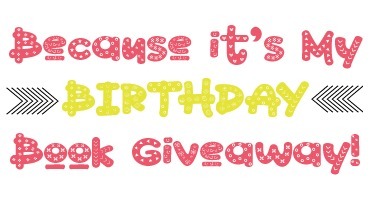 © For What It's Worth: because it’s my birthday book giveaway!